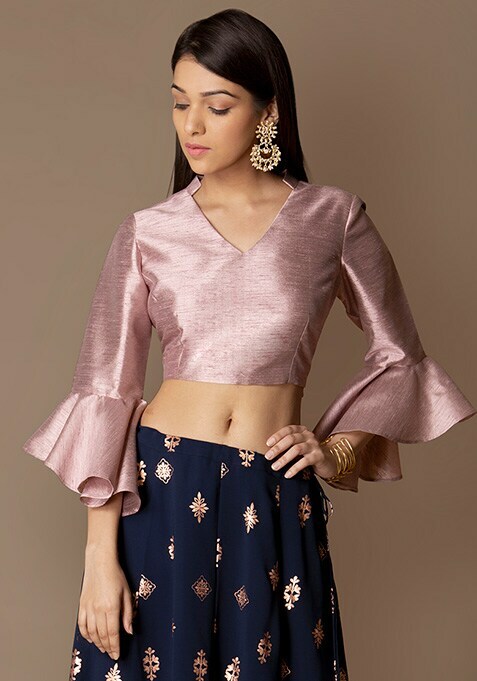 Sarees can look very exciting with this beautiful, mauve crop that is a perfect party wear too. Features bell sleeves and concealed zip for a perfect fit. Work It: Wear it with a saree of your liking and complete your look with subtle makeup.